Do you love Instagram or in need of a new phone? Then I have the perfect contest for you! Moldiv is sponsoring an Instagram photo contest where you can submit a collage of your baby photos OR your favorite selfies made with Moldiv and be eligible to win some cool prizes – including an iPhone 6! Here’s how to enter: Create a collage of your selfies or baby photos withMoldiv, then post collage on Instagram using the #ILoveMoldiv hashtag. Multiple entries are allowed, so submit as many collages as you like! Entries will be accepted through October 29th. How to Enter: Create a collage of your baby photos with Moldiv. 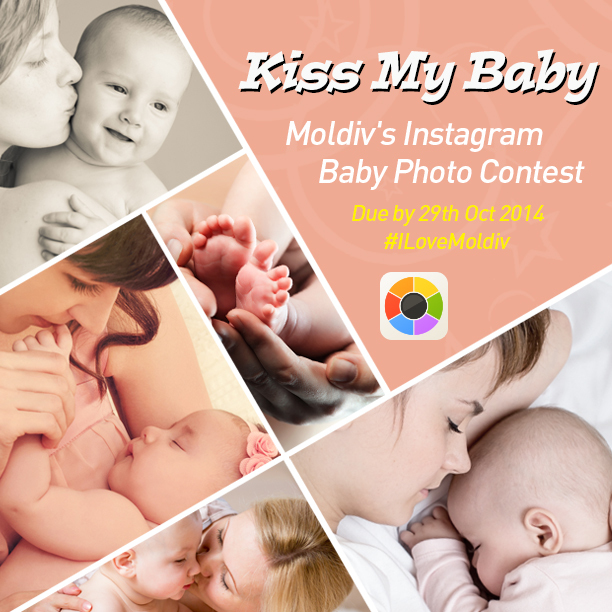 And simply submit entries via instagram with the #ILoveMoldiv hashtag. Winner Selection: Winners will be determined by public voting and JellyBus judging. Rules: Photos must be your own. No copying. No cheating. Multiple entries allowed. Contest opens to U.S. residents only. Moldiv will also randomly pick 10 participants to receive a $10 iTunes gift card. Previous Post: « Spider Chip Cookies!